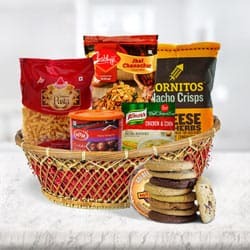 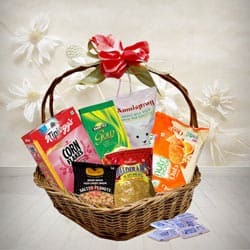 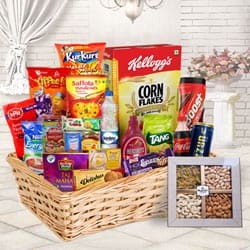 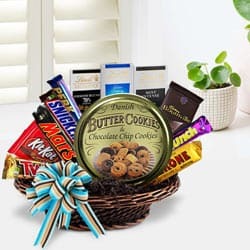 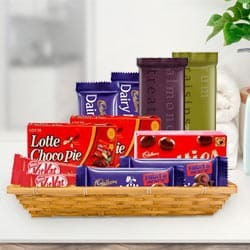 Offer your heartfelt wishes to your dear ones by sending them this Delicious Chocolate Gift Basket and make them feel special. 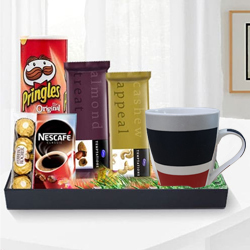 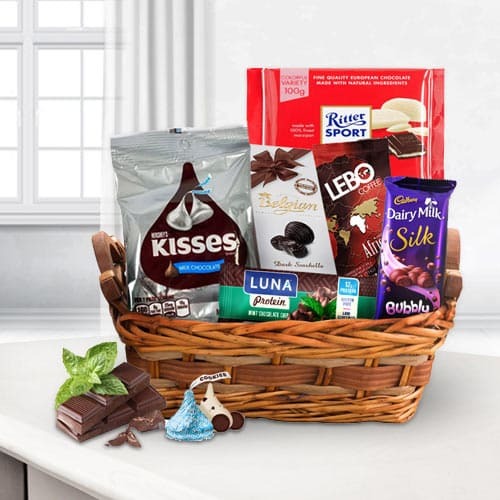 Treat your dear one with something extra special with this yummy Chocolate Gift Basket which is smartly presented with Belgium Chocolate, Dairy Milk Bubble, Ritter Sports, Mint, Le Chocolate and Hersheys Kisses. 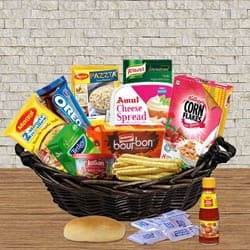 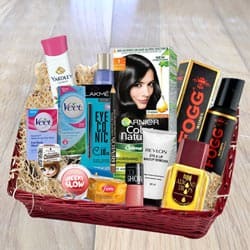 All these items are perfectly packed in a Basket.